CanadianBabies was developed by moms for moms! CanadianBabies is THE online resource for new and expecting parents in Canada! Congratulations! You’re pregnant! It is an exciting time in your life, whether it is your first pregnancy or you are a seasoned pro. With all the excitement also comes changes and uncertainty. Bookcases, armoires, chest of drawers, change tables and all large pieces of furniture should be anchored to the wall to prevent them from tipping over and falling on top of baby. 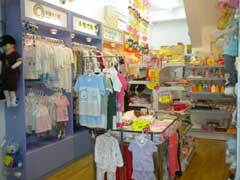 Finding yourself being hit with the urge to buy something – anything – for your baby-to-be? Sounds like you’ve been hit with a bad case of baby fever. How much weight should you gain while pregnancy?